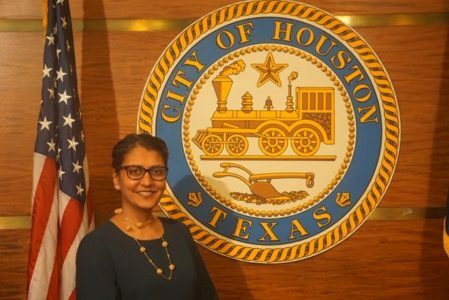 HOUSTON - Minal Patel Davis, Mayor Tuner’s Special Advisor on Human Trafficking was selected to receive the prestigious Presidential Award for Extraordinary Efforts to Combat Trafficking in Persons, the highest U.S.award for this issue. The announcement was made today in Washington D.C. during a White House meeting of the President’s Interagency Task Force to Monitor and Combat Trafficking in Persons chaired by Secretary of State Mike Pompeo. The award is given annually to individuals and organizations that demonstrate leadership, commitment and measurable success in the battle to eradicate trafficking. 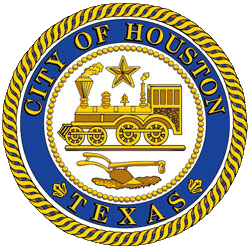 In July 2015, when Patel Davis was appointed, this was the first municipal level position of its kind in the United States. “The vision for this role was to transform Houston from being a trafficking hub to hub for solutions. Patel Davis and her team are blazing this trail and other cities are now following suit. With unwavering support from Mayor Sylvester Turner, Patel Davis is implementing a replicable and holistic municipal response. This impressive work is setting the trend for prevention and response mechanisms. It’s turning the tide and dramatically changing our city for good,” said Rebecca Hove, Senior Director, Greater Houston Community Foundation, Anti-Human Trafficking Donor Working Group. Looking ahead and building on the advocacy with the United States Conference of Mayors, Mayor Turner is hosting a Ten-Ten Muni Fellowship to focus on human trafficking prevention- Ten Fellows, Ten Cities with private funding. Fellows will engage in a 2-day immersion training on developing a similar approach and implementing it in their own cities with support from their local mayor’s offices. The inaugural Ten-Ten will be held in January 2019. Patel Davis earned her Juris Doctor and Master of Business Administration from the University of Connecticut and her Bachelor of Arts from New York University. "I am humbled and honored to receive this award and share it with survivors, everyone on my team, Houston, and partners across the country that have supported our efforts," Patel Davis said. "Mayor Turner and his chief of staff have created an environment for our trafficking initiatives to thrive. I thank God for the opportunities I have had in this role to make an impact."